This charming series was used in the cabins of West Virginia State Parks, and some of it was also sold in park gift shops. 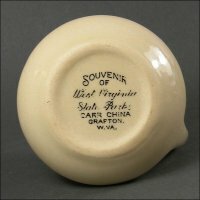 Each piece had the seal of the State of West Virginia, but select pieces (most commonly plates) also had larger images of a deer, quail or log cabin. It was made by both Carr and McNicol China. 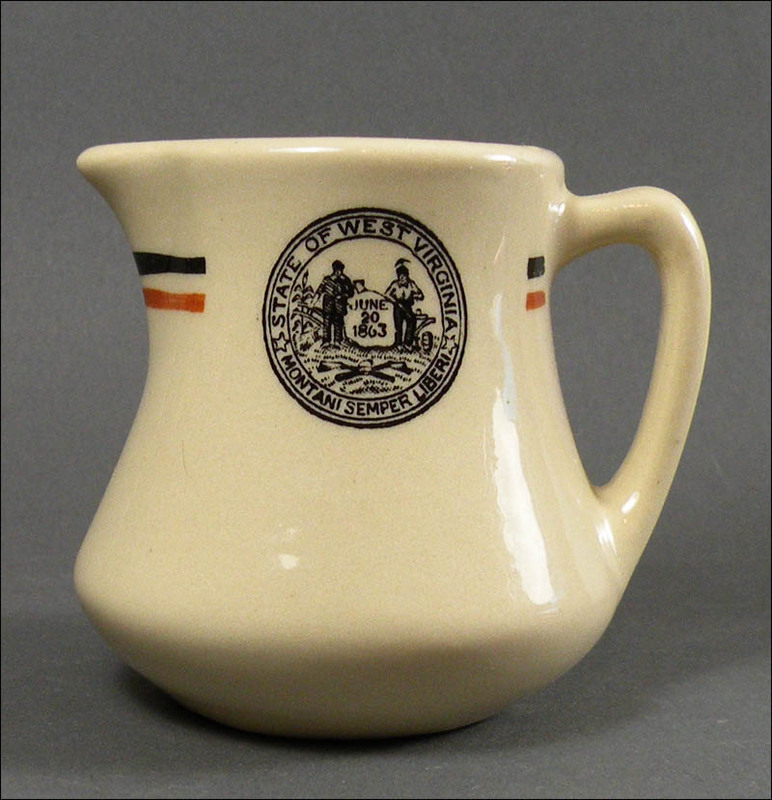 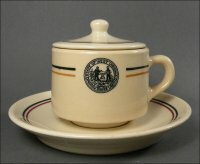 This nice creamer with handle features the WV seal. 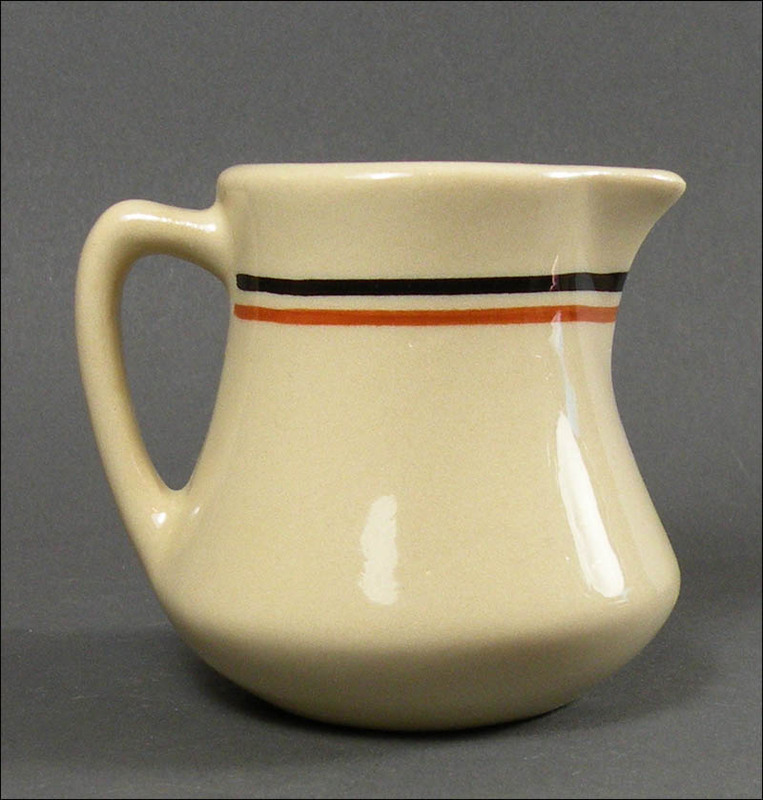 It is approximately 3 1/4" across, including the handle, and stands about 2 3/4" high. 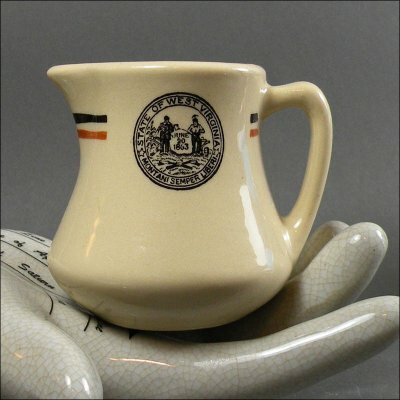 It is in excellent condition with no chips or cracks, very shiny and only light use marks.